with a 14nm process and aimed at the server market where, power efficiency is valued above all. The Xeon processors are aimed at high performance while the Atom equivelants are focused on consuming less electricity. use the architecture of the more powerful Xeon chips. 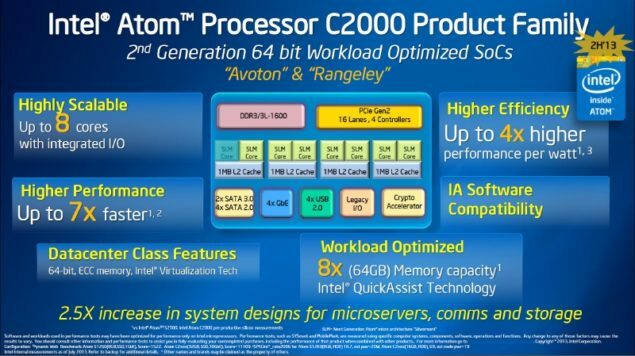 and Denverton on the Atomic side, while simultaneously presenting competition to the likes of Calxeda and AMD. seems Intel is stepping into the market.